I made this card for Card Positioning Systems Sketch challenge - CPS161. When I saw this sketch this morning, I knew what image will go with it. 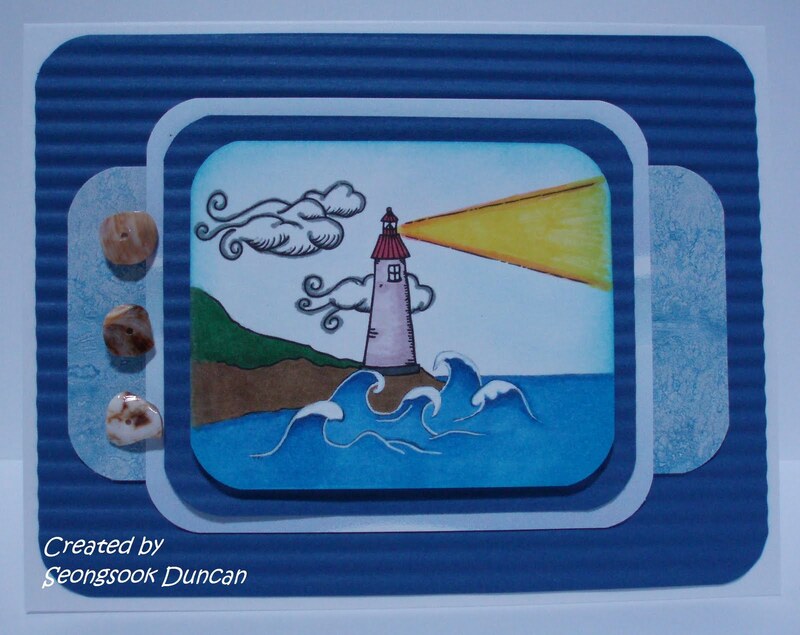 I used my crimper for the background paper and added three shell buttons. I think it turned out very well. 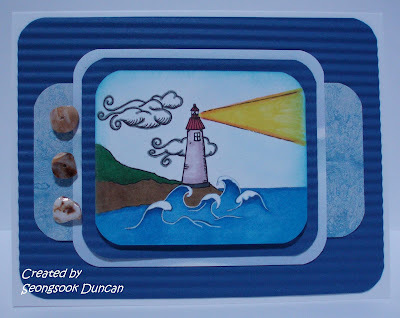 I used the digital image Lighthouse "Light of Life" from Designed 2 Delights for Final Free Digital Stamp for March challenge at Delightful Inspiration. I colored it with Bic Mark.It markers and Copics. I used white gel pen for waves. Yes it did turn out very well! 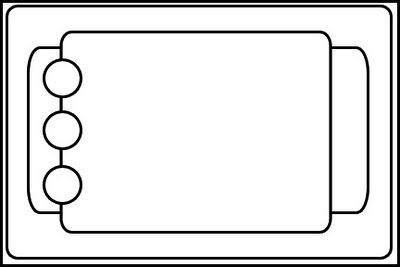 I love your image and it's colored perfectly! I love those waves! So fun! Great job! I LOVE lighthouse images, and this one is colored so well! 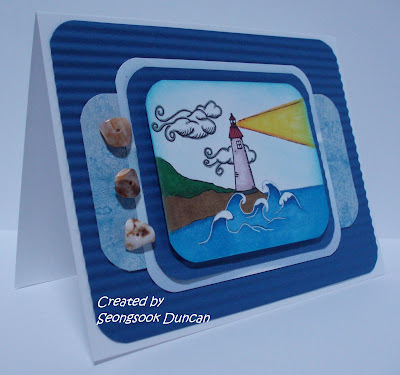 The crimped background along with the shell buttons really pulled this all together for one awesome card!!! Wow, I love the waves on your card and the way you colored them. Great card, great image and great use of the CPS sketch.